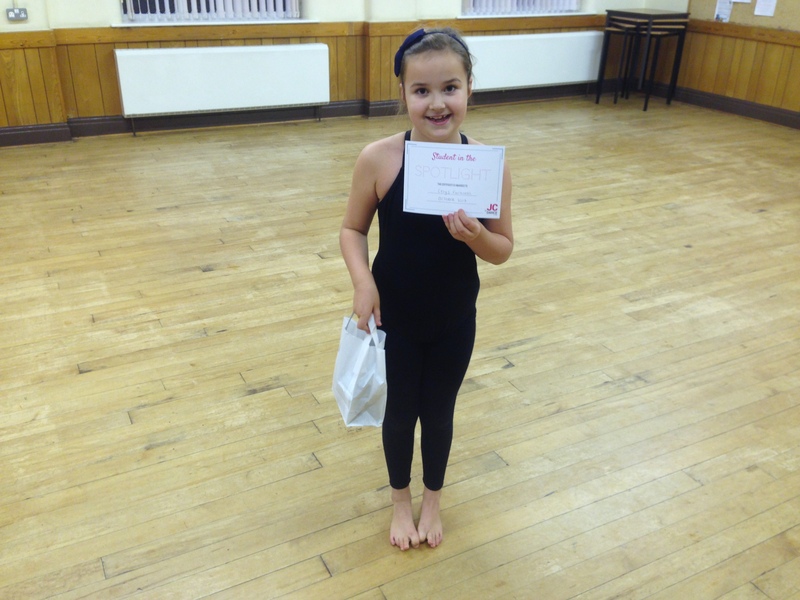 Daisy has been dancing at JC Dance for just over a year and attends Ballet and Modern classes. 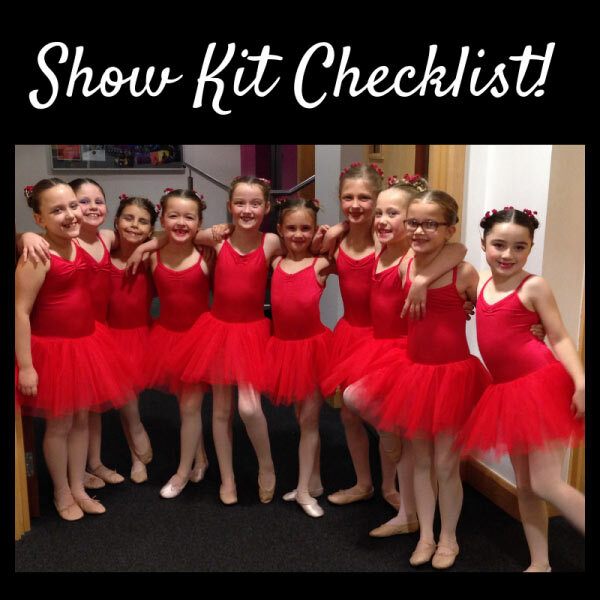 Daisy has been awarded Student in the Spotlight for November because she has worked really hard over the past year to catch up with her class mates who have danced longer than her and performed brilliantly in her first show a few weeks ago, with a big smile throughout! 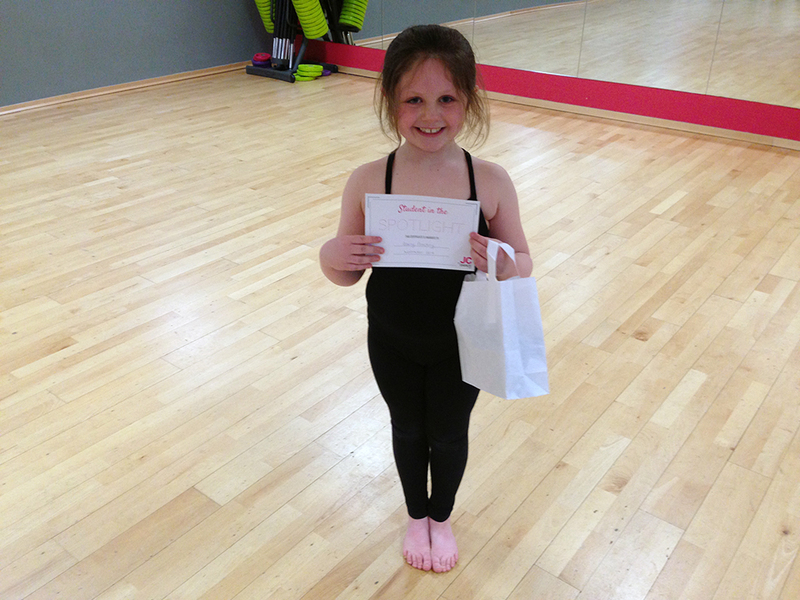 Here she is with her certificate and winners t shirt… Well done Daisy! Cerys has been dancing at JC Dance since she was 3 and attends Modern classes, she took her first Modern exam, Grade 1 in the summer. Cerys has been awarded Student in the Spotlight for September because she is always happy and smiley in her class, works hard, has excellent behaviour and manners, and is always neat and tidy! When asked what her favourite thing about dancing was, Cerys said “the floor actions that we do, like in our Moana dance”. 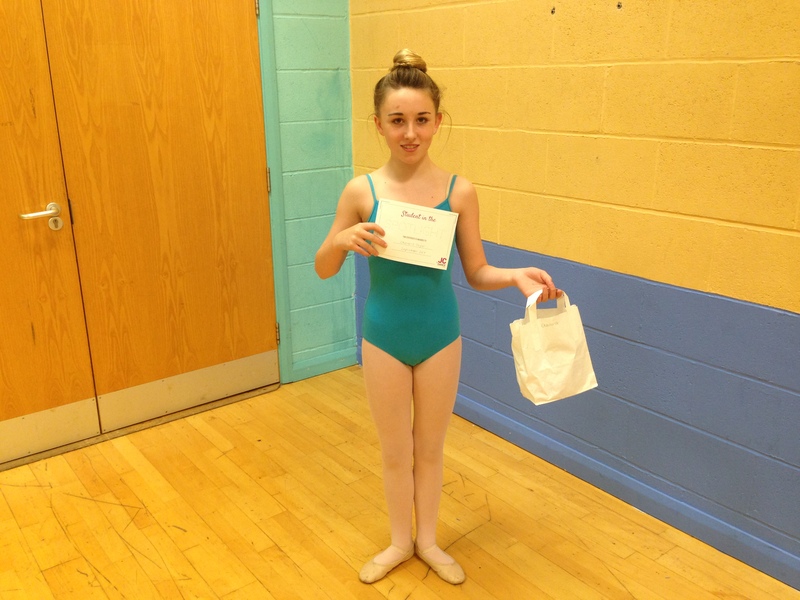 Here she is with her certificate, and she also received a winners t shirt… Well done Cerys!